There may be times when you want to try a trend but not sure if it will suit you. Instead of diving straight in, the best way to experiment with a print is to wear a bit of it here and there to ease yourself in slowly. 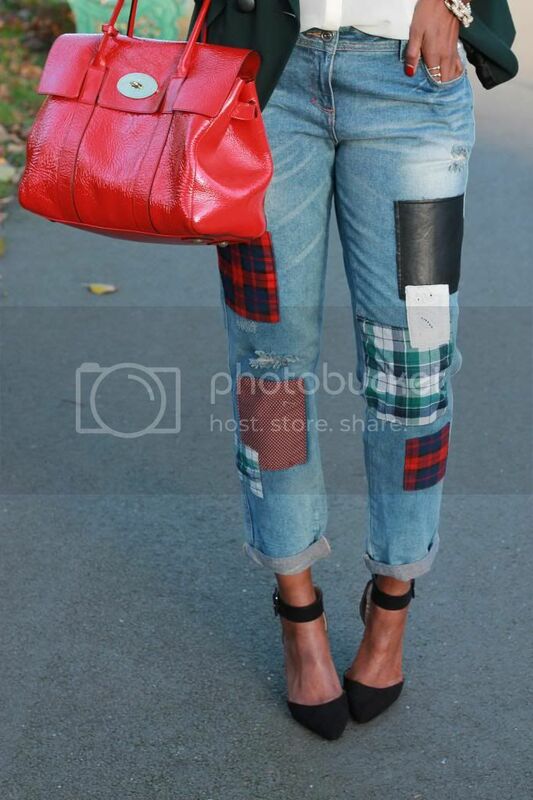 I absolutely love these tartan patchwork jeans from Primark, they are fun, stylish and comy, and at £15 there was no way I could leave them! 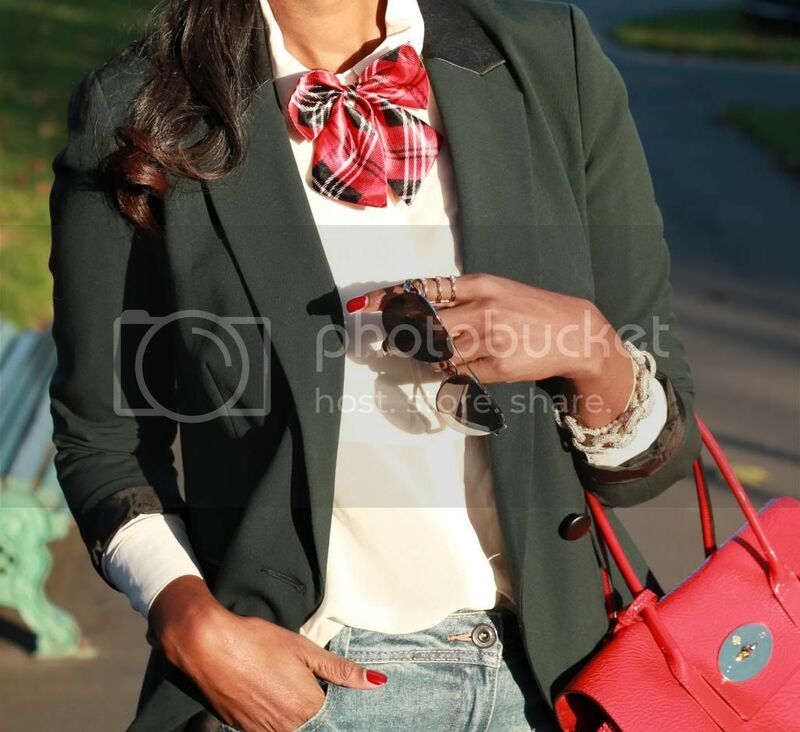 I styled them with this cute bow tie to keep the plaid working through my look. What do you think? 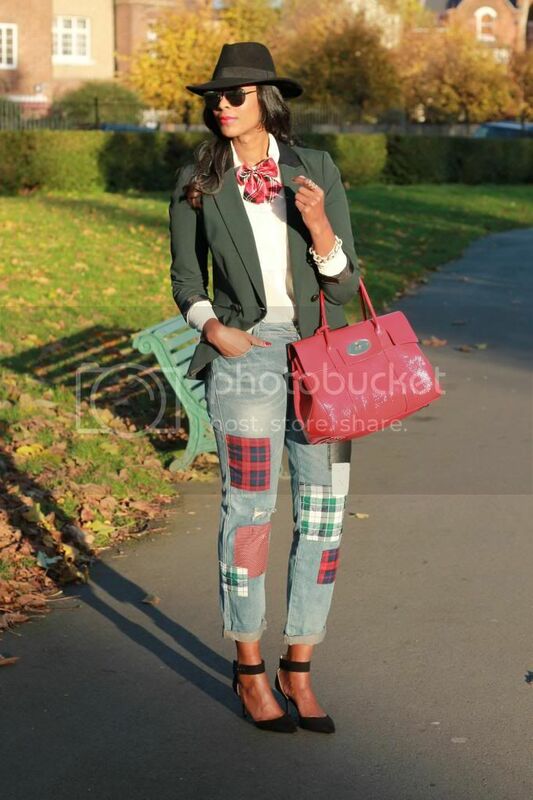 Are you a fan of the tartan trend? Belllaaaaaa!!! 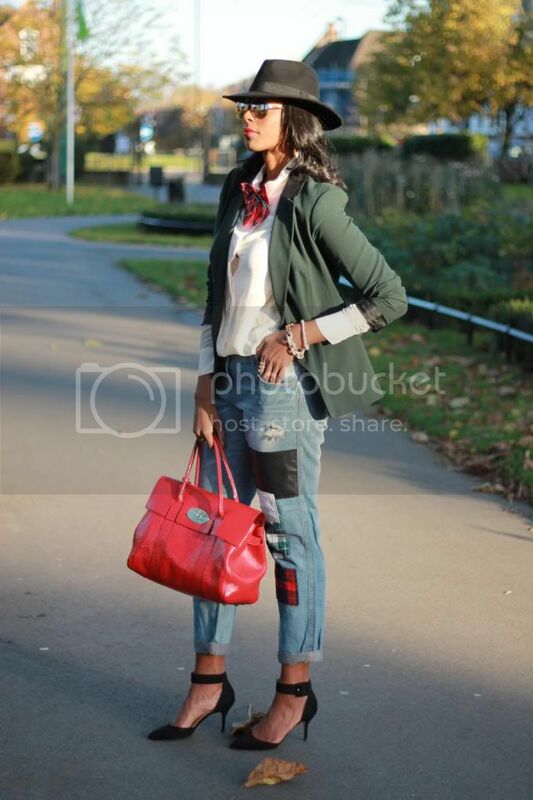 Love the jeans and the whole outfit dear! A big kiss from Milan! 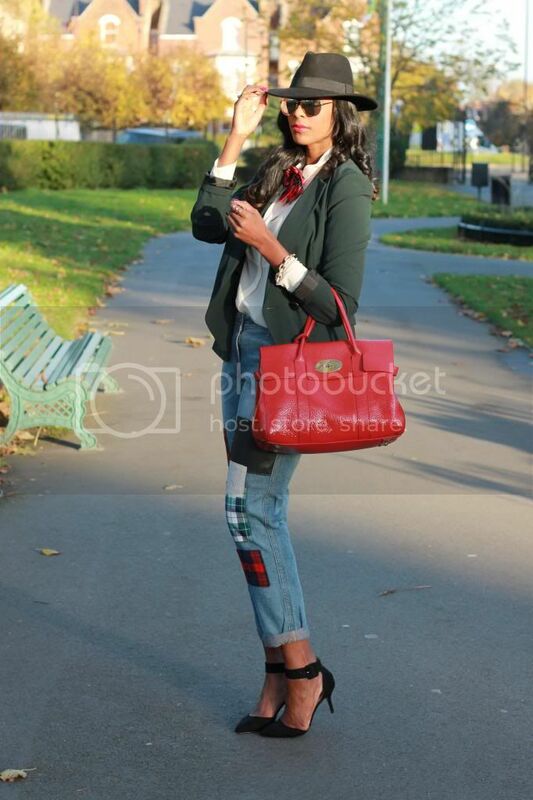 the bow is so cute, I love the jeans too. I actually didn't see them in Primark. Thank you. I actually saw them as they were stocking up the rails and made a bee line for them! look at those jeans!!! they're lovely!!! shame I cannot wear jeans to the office! Thanks Laura! But I'm sure you can take them for a spin on the weekend! Thanks they really are! And a bargain too! 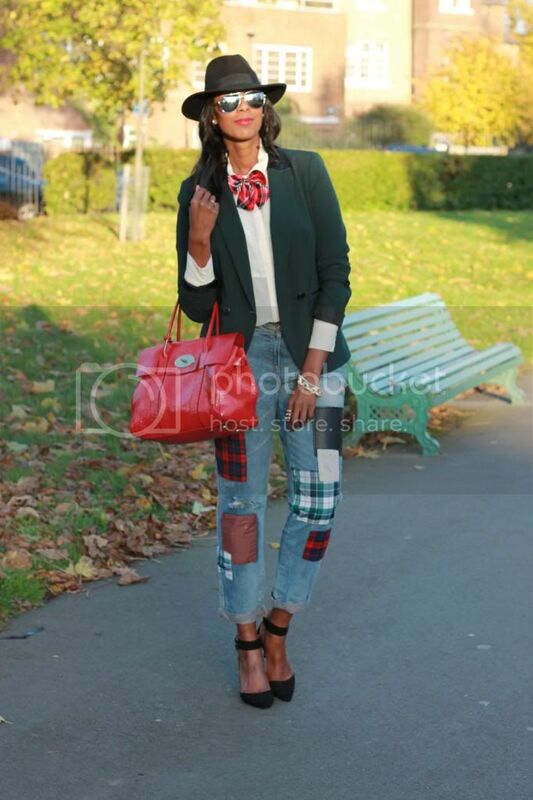 Now this is how a girl should wear tartan, you look fabulous Marsha - your style is always so impeccable! In love with that pants! you rock this look!